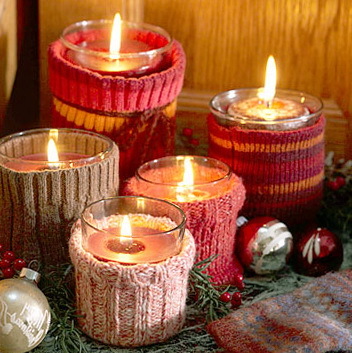 Interior decoration using candles to decorate the interior of the New Year will make fun and beautiful interior. Candlesticks can be performed independently of simple objects. 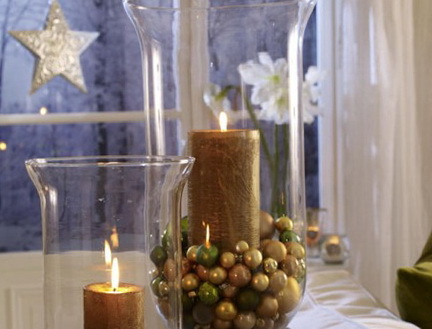 For example, you can use jars, tins, glass cups, and other items. To create interesting and bright glass can decorate it bright cloth, sequins and other appurtenances. 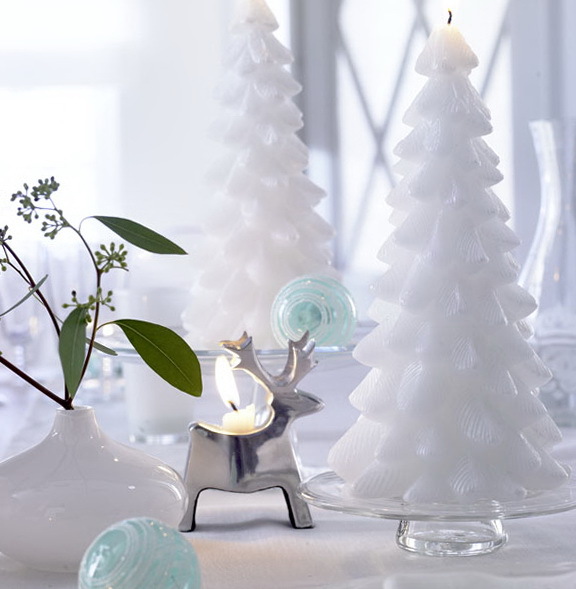 Candlesticks can be made of glass vase, put a candle in a vase and a large carafe, or a vessel around the vessel can be decorated with fresh flowers or artificial. 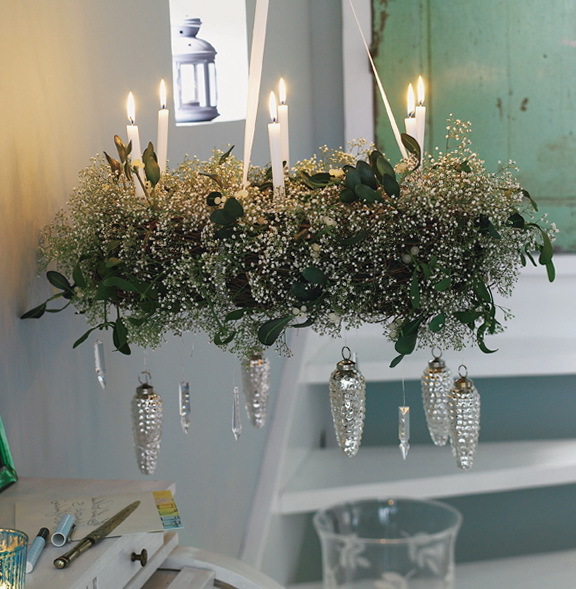 It can also be a simple tinsel decorated bead. 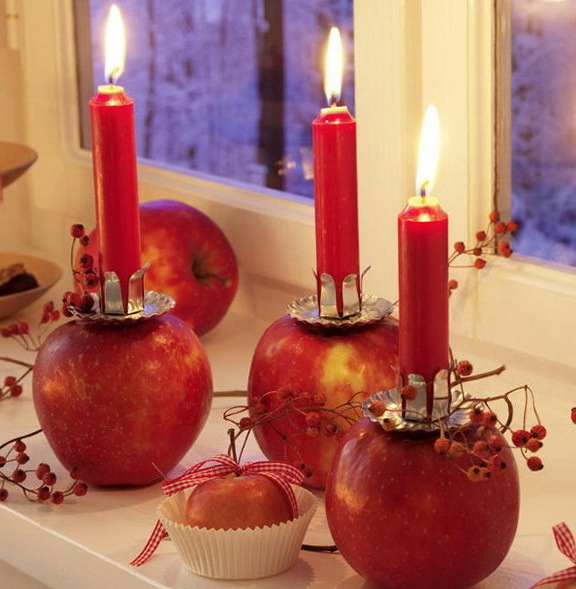 The simplest decoration using candles festive ribbons can fix double sided tape or pins with bright beautiful head. You can use a bowl or a vase in which to pour the water and put a candle in a glass jar, it will seem slightly magical and interesting. 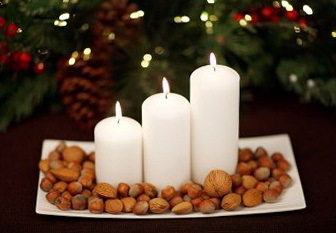 Or so the vessel can be expanded cones, garland, or simple Christmas ornaments. 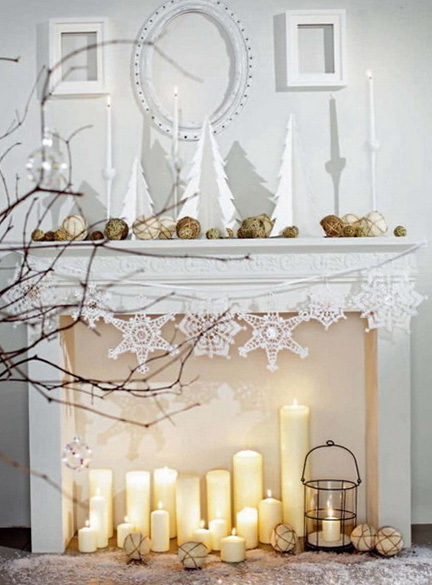 Christmas and New Year decoration is primarily sparkle and glisten. 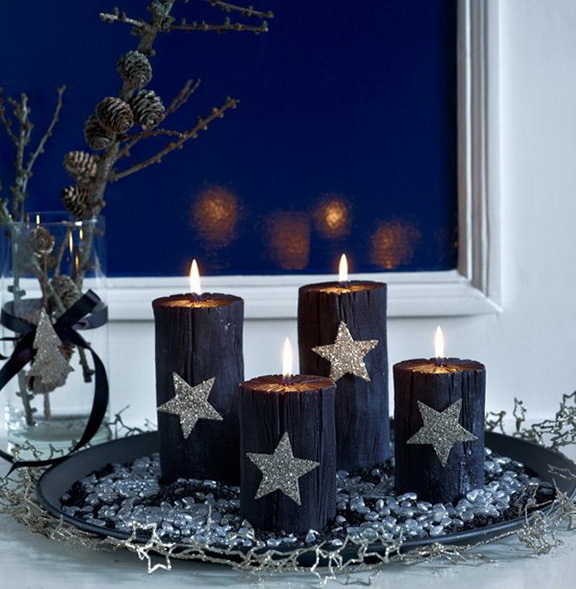 For instance, you can purchase bright candles with glitter, or create their own theme. For example, you can use a glass mold, adhesive sequins and small pebbles, glass, or old brooches, it may be crystals or beads. 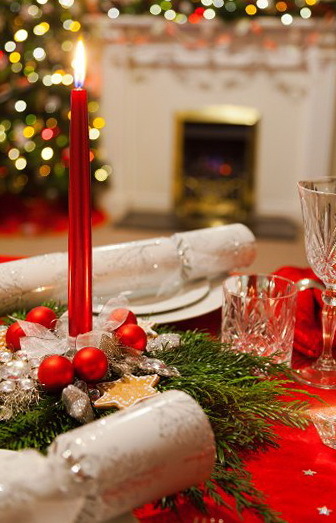 Old glasses can also be used as a candlestick, and it can also decorate with items such as greens, tree branches , green branches of ornamental plants that are long does not deteriorate , and can look good for a long time without water. The easiest and most original way to use jars of jam, honey and other products to the main jar was beautiful, with an interesting shape. The jar can be decorated with bright ribbon, in a jar, you can also pour water and put beads, sequins.